As I mentioned earlier, there has been a lot of romantic comedies coming out. 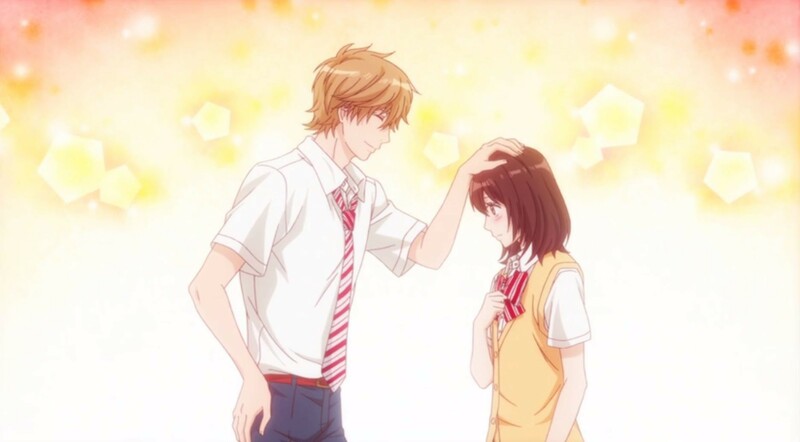 This one “Wolf Girl and Black Prince” (“Ōkami Shōjo to Kuro Ōji”) is an interesting take on things in the realm of high school love. The story centers around Erika Shinohara, a 16-year-old girl who tells her friends about her romantic exploits, but she actually has no boyfriend. Well, you had best produce, so she claims that the handsome boy in a candid photo on her phone is her boyfriend, but it turns out that boy is a schoolmate named Kyōya Sata. She has no choice but to make him her fake boyfriend. Unfortunately, Sata may look like a sweet person, but he is actually an ultra-black-hearted sadist. Sata takes advantage of Erika’s weakness and treats her like his dog. Well, we have another entry into the magical school genre, but this one tries to be something more than, say, “Negima!” or “The Irregular”. But things get muddled. 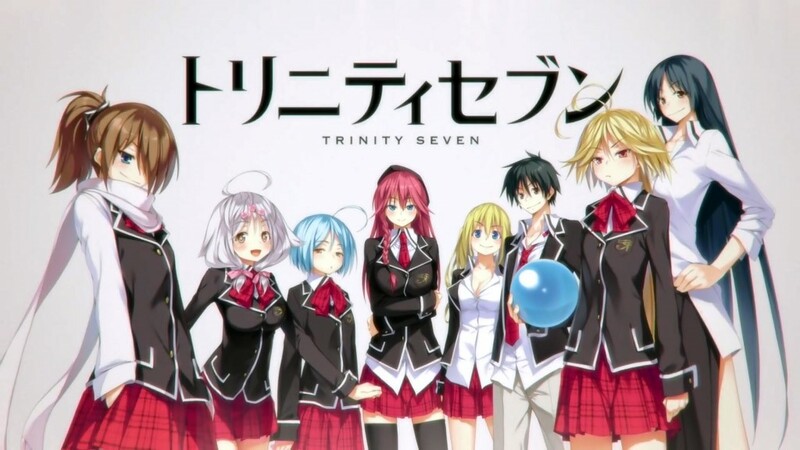 Welcome to the world of “Trinity Seven”. 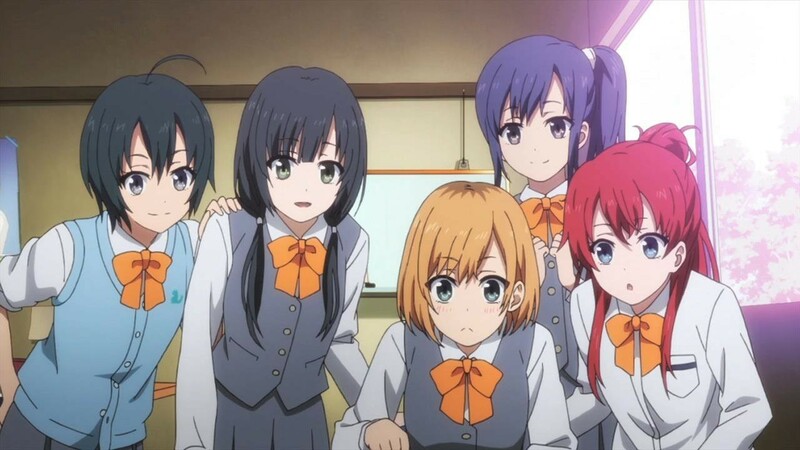 “Shiro Bako” (“White Box”) tells the story of five girls from high school who want to make it in anime. Having personally worked in television, radio, movies and theater, I could really connect with the problems that occurred. It’s just that they have ALL the problems happening. You can get a lot of them, but not both complete pages of the menu. 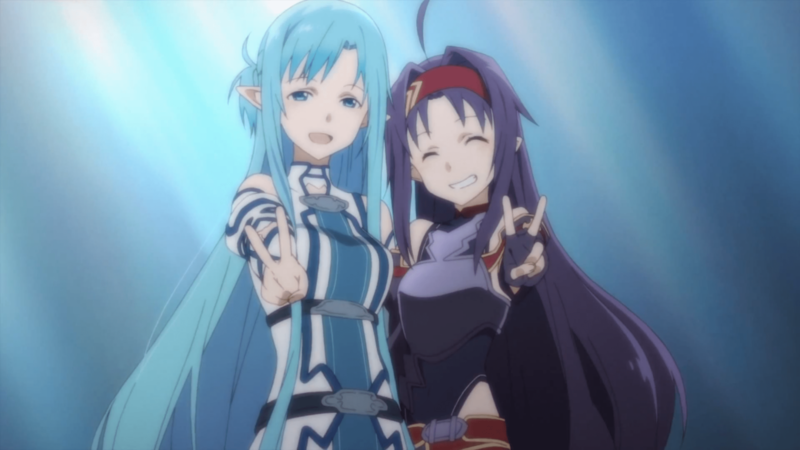 Still, it makes for good stories and the overall idea of seeing if you can overcome adversity to attain your dreams.